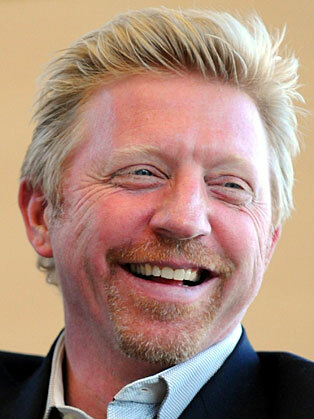 Boris Becker was born in Leimen, West Germany, and was the only son in the family of an architect. His father built the tennis center (Blau-Weiss Tennisklub), where young Becker was usually playing against young Steffi Graf in training matches. In 1984 he became a professional tennis player. Becker was an unknown 17-year-old unseeded outsider at the Wimbledon tennis tournament in 1985, when he shot to fame by setting the record for Wimbledon, becoming the youngest player ever to win the men's final. He was also the first unseeded player ever and the first German to win the men's single title at Wimbledon. He was nicknamed "Boom Boom" for his huge serve. Becker reached the Wimbledon final 7 times in 10 years and won 3 men's single titles, among the total of 49 singles and 15 doubles victories over the course of his career. Becker became the second youngest player, after Bjorn Borg, to be introduced into the tennis' Hall of Fame in 2003.